NEW ORLEANS — MISO’s Advisory Committee on Wednesday created a task team to continue exploring whether to extend a one-year “cooling-off” period to state regulators before they apply to serve on the RTO’s Board of Directors. The new team will also examine other aspects of the board’s makeup and required qualifications, including whether the yearlong moratorium — currently applicable to industry participants appointed to the board — should be scrapped altogether. 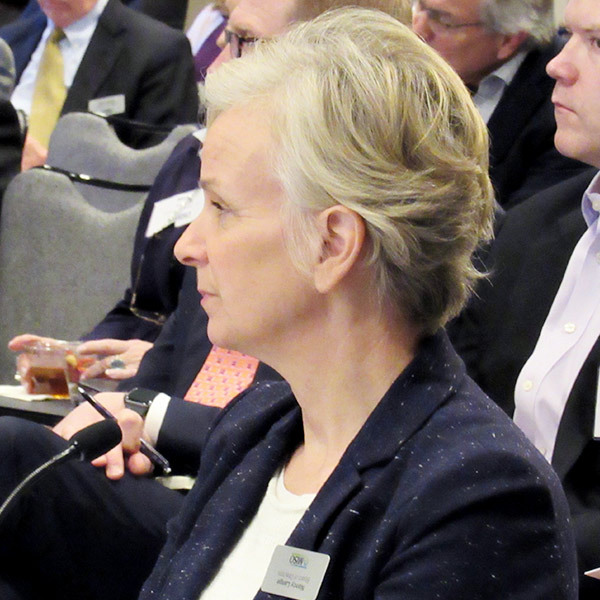 Advisory Committee Chair Audrey Penner said the committee could recommend that the board amend its bylaws in MISO’s Transmission Owners Agreement to adopt any improvements identified by the team. FERC must ultimately approve any bylaws changes and neither MISO nor its board is under any obligation to act on Advisory Committee recommendations. “Welcome to our dysfunctional family,” Penner joked to Lange in opening the Wednesday meeting. Lange now sits on the board’s System Planning Committee, which is charged with overseeing MISO’s annual transmission planning processes and spending. “I’ve been on the other end of the MTEP [MISO Transmission Expansion Plan] in a way. I’ve seen the tussles … dreams that go into MTEP,” Lange said before a March 19 introductory presentation on the plan. At the Wednesday meeting, Penner said there remains a “divergence of opinion” on whether the cooling-off period should apply to regulators. Some committee members have gone so far as to say the moratorium is no longer necessary. Not all are sold on that idea. “You could have a regulator denying a rate case on a Friday, and then deciding their transmission package on a Monday,” said Transmission Dependent Utilities sector representative Kevin Van Oirschot, of Consumers Energy. But Wisconsin Public Service Commissioner Mike Huebsch said he stepped into that very situation as he switched from state representative to state regulator without a significant break in between roles. As a state representative, Huebsch said he argued passionately against the Badger Coulee high-voltage transmission line. By the time he was a Wisconsin regulator, he voted in favor of the line. “It ended up going through my dad’s backyard, and I had to sign an affidavit saying I hadn’t talked to him about it over Thanksgiving,” Huebsch laughed, making the point that industry disagreements don’t have to follow individuals into new professional roles. Huebsch said today’s transparency, especially in social media, means that the cooling-off period is an “archaic idea that’s no longer necessary.” He said any whiff of impropriety can now be widely shared on Twitter within minutes. Some committee members also contend the board could benefit from more members with technical industry expertise. MISO bylaws currently dictate that six directors have corporate leadership experience in either board governance, finance, accounting, engineering or utility laws and regulation; another should have transmission system operation experience; another, transmission planning experience; and the final, experience in commercial markets and trading. “You could fill this with six C-suite people and three engineers,” Huebsch observed. Power Marketers sector representative Barry Trayers, of Sempra Energy Trading, said it seems that part of each quarterly in-person Advisory Committee meeting in front of the board is spent explaining MISO operations to new board members unfamiliar with the workings of the RTO. Penner also said she’s heard concerns that only two stakeholders are permitted on MISO’s Nominating Committee, which vets and selects board candidates for stakeholder voting. The group is currently composed of two stakeholder seats and three director seats. Missouri Public Service Commissioner Daniel Hall, who served on last year’s Nominating Committee, said he would have found value in “at least one more” Advisory Committee member contributing to the group’s decisions. Independent Power Producers sector representative Mark Volpe, of the Coalition of Midwest Power Producers, said the Nominating Committee is an anomaly among entities with boards of directors because directors outnumber stakeholders and could in theory decide a candidate’s fate by themselves. The Advisory Committee does not yet have volunteers to serve on the board process task team. Although task team membership would be voluntary, Penner said she would likely limit sectors to one representative apiece. 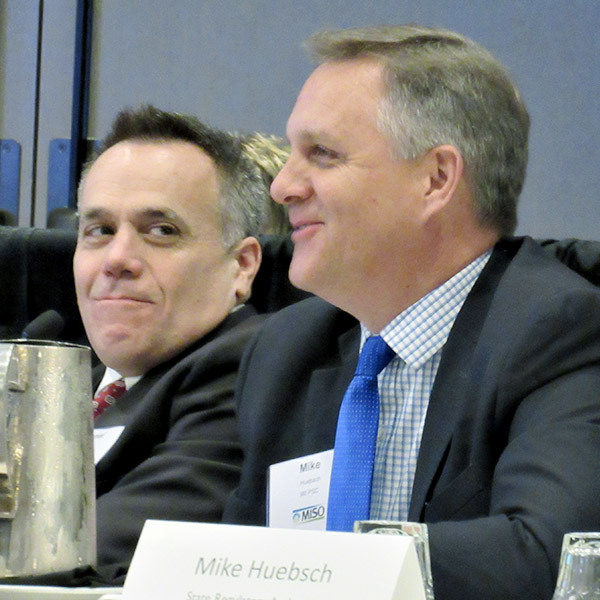 Meanwhile, the Advisory Committee appointed Minnesota Public Utilities Commissioner Matt Schuerger and Transmission Owners sector representative Jeff Dodd, Ameren’s director of transmission policy, to sit on this year’s Nominating Committee. MISO’s 2016 spending is in line with its budget for the year, Vice President of Finance Jo Biggers told the Board of Directors at the RTO’s Annual Meeting.